If you are a parent for your gamers children or maybe just an adult who loves the game so much. You may have a dream to have one room in your house that can turn into a video games room, right? Since we all need our private room to entertain ourselves, it is necessary to at least have that room for your hobbies. It also requires an effort to make your video games become one of the cosiest places you can have! There are so many ways to have that one room in your house, for instance, turning your little space into a video games room or just that one room that you do not use. That’s all being said, to have video games room with plain walls or just to have tv and chairs is not enough right? You may need other furniture too in order to complete it! 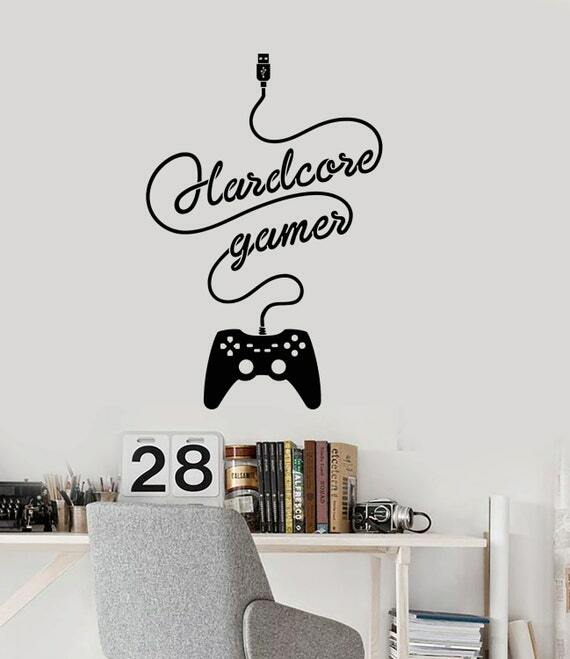 In this article, I will show you the ideas that you can always steel to decorate your video games room become the cosiest place you can have! The picture of words like the warning is one of the interesting pictures you can hang in your video games wall. Yes, this warning wall is super fun since the warning is usually a sign in the public area or just the sarcasm words of your parents telling their children to keep quiet? The other idea of the picture in the wall that you can steal is the puzzle pieces of your favourite character in the game. This idea is very clever to turn the puzzle pictures into arts in your wall! We do not like to see mess video games room right? Of course, we love to see the room clean and tidy! Most the gamers always left their room messy with untangle cables or just toys being everywhere on the floor so to make the room look tidy still you may need drawers, storage, or cabinet. You can always put so many things in there, that is why it is necessary to at least have one! If you are that person who likes to collects old stuff, then this is for you! It never goes wrong to not spend money on your new catchy stuff! You can always try to make uniques things out of the unused goods rather than throw them away, true? 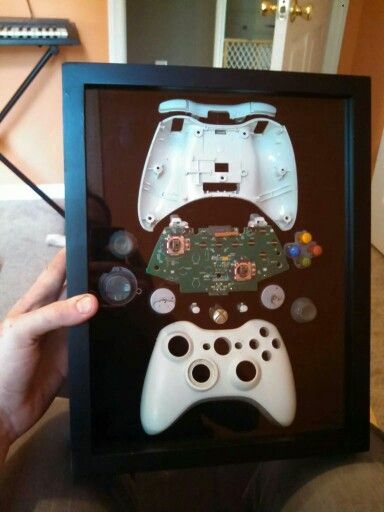 Well, if you have the unused joystick you can turn them into a frame like that! Just being creative out of your unused stuff like that is very interesting and saving your money. It is one of the gamer’s dream to have nice and pretty customize light like this. Try to have your costume colourful lights in the back of your screen like above. This idea helps you to decorate the screen as well. Also do not be afraid to have vibrant colourful light like magenta and blue to make the atmosphere feels like you are on the other side of the world! If you are that simple and clean person then this idea is for you! 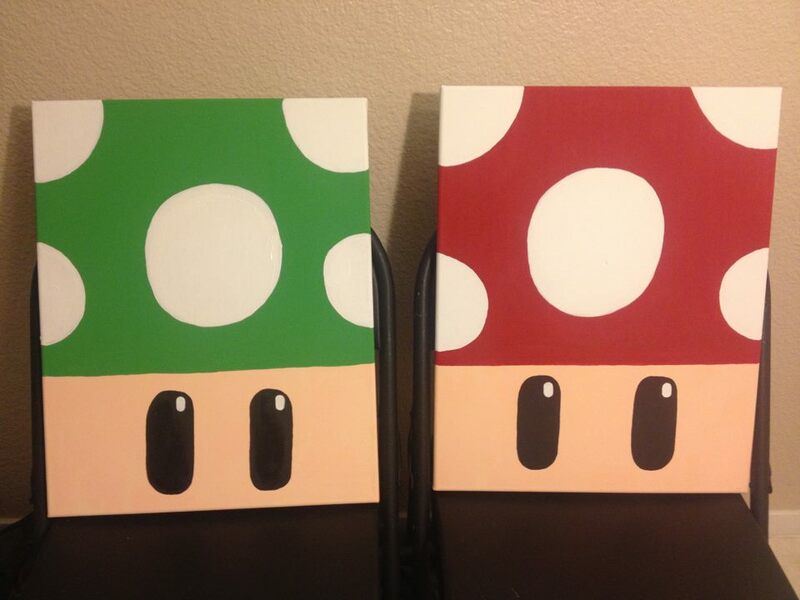 In case you have a small video games room you can try to steal this idea. Use your little space to decorate as minimalist as possible. Tips for your small room, do not add any unused things in your small space to prevent from the mess-looking. You can also put black simple decor in your wall to make it look more interesting. Kids love to play especially video games but it is a problem when you do not have another space for your kids to play video games. 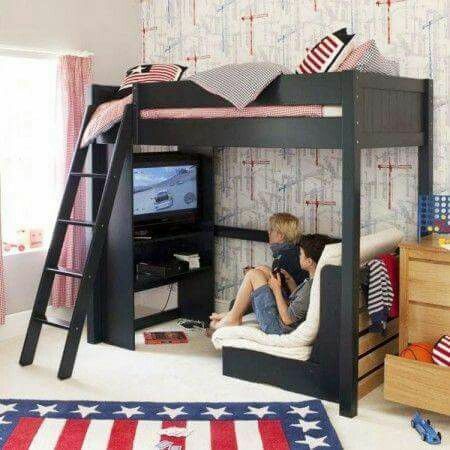 The answer is to turn your kids’ room into video games room at the same time! You do not need more drawers or storage to keep your joysticks organize. If you do not have more space to keep them you can steal these ideas to keep them organized. 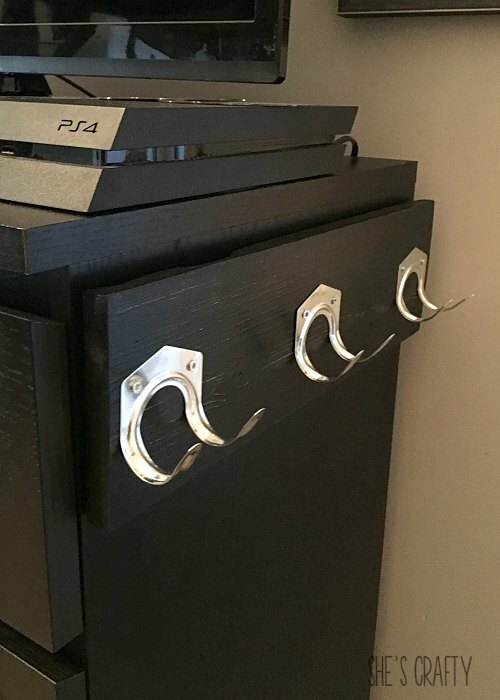 Use double hooks to hang your joysticks in the wall. This way really helps the little space in the room and decorate the walls at the same time. Also, this way really saves your money up, it also an alternative way for you who have a difficult time shopping in the store. You can try to change your boring doormat or throw pillows with the fun ones like these! These fun doormat and throw pillows are clever ideas to steal! What makes them unique is the way they design them from the inspiration of joystick. You may have to get one of this to level up your cosy place! 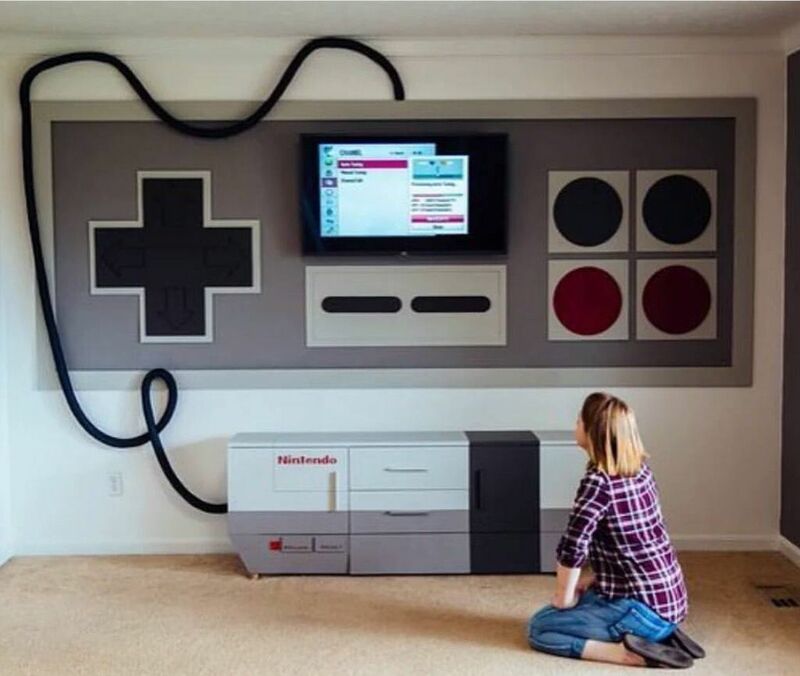 Why don’t just paint the entire wall with your favourite video games like this? This is a brilliant idea for you who hate plain looking boring wall! Who says coffee table belongs to the living room? 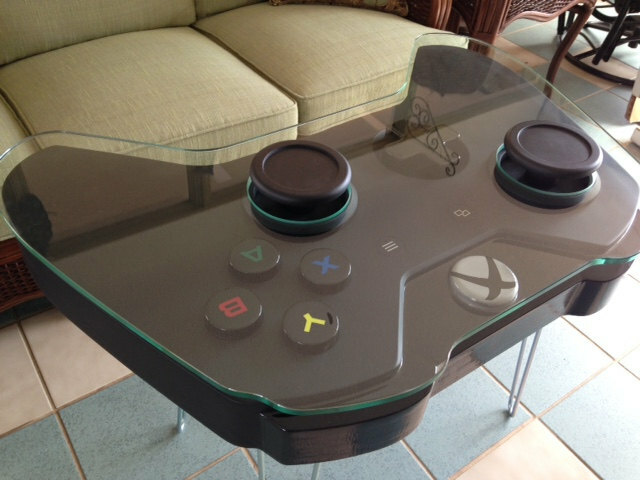 This unique coffee table belongs to the video game room! Giant joysticks like this make the atmosphere add so much fun in the air. To find the decoration like this in the store is pretty hard to find, however, you can always make your own unique decoration to decorate your room. 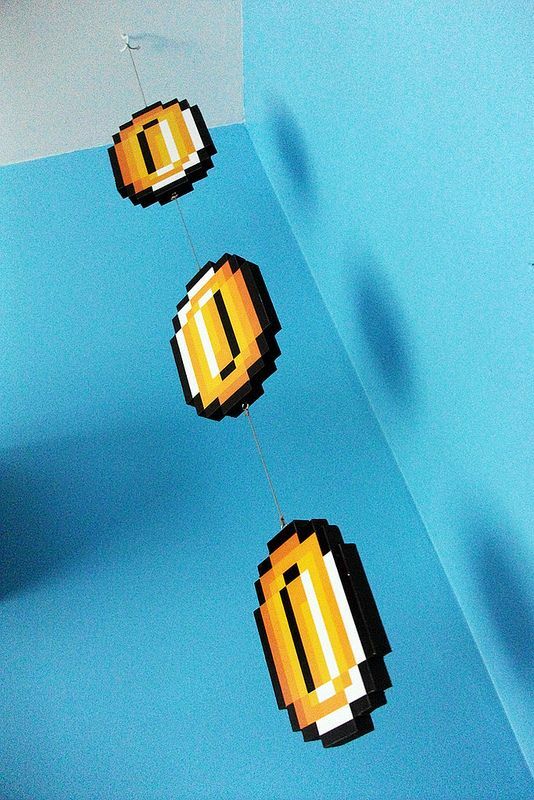 The flying coin and cute mushroom from Mario bros is the perfect example of decoration in your video gamer room. 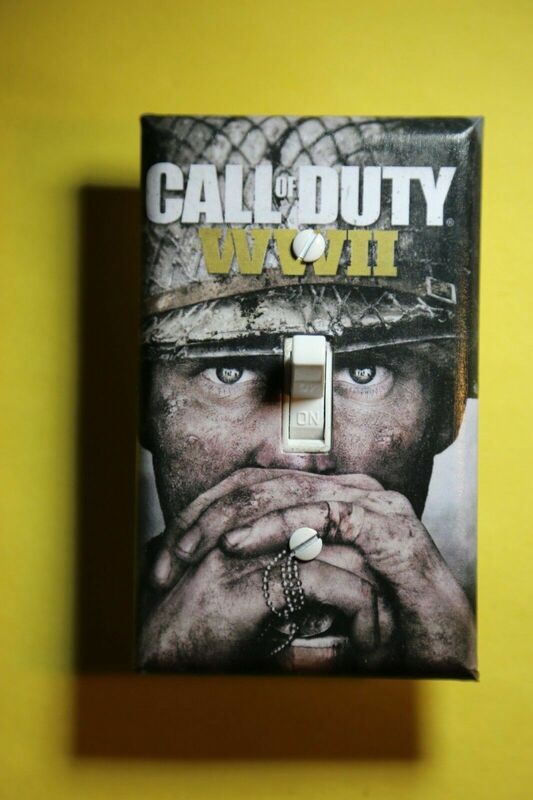 Cool switch lamp cover like this is available on eBay but you can also make this cover by yourself. Just print out the picture from the sticker paper and that’s it! To have couches or chair is never enough in the video game room, you may also want to have a bed in case you are tired after gaming. This bedding set is perfect for your video games room. Another Nintendo inspiration! Decorate the walls of your TV like this is a great idea to prevent the plain walls in the back of your TV. Neon lights are the best lights to make your room looks cool and different! 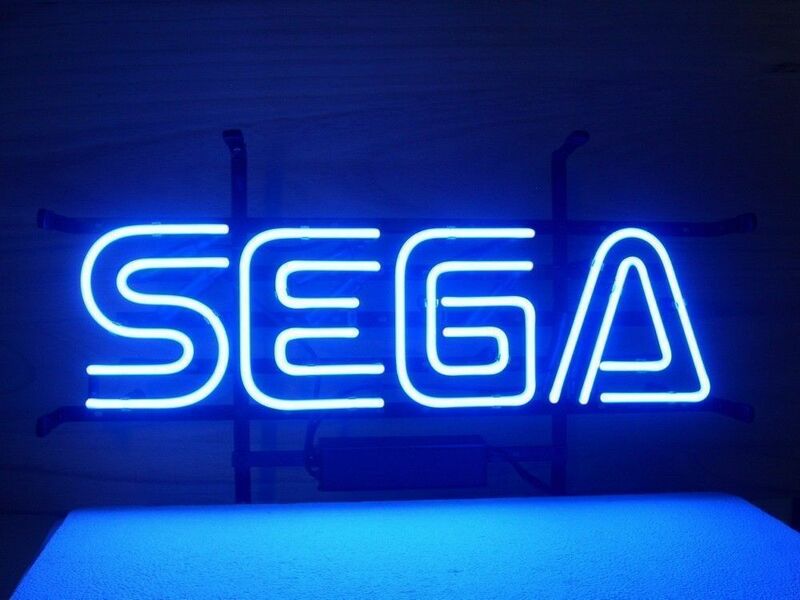 Neon lights like this help you to feel the atmosphere more when you turn your lamp off while gaming. Must be fun, right?